Assisted play will be offered on Mondays from 2 - 4 PM for beginners who are Club Members and who have taken a beginning lesson. This isn't a lesson, but more experienced players will help beginners with various aspects of the game and give them pointers for more successful play. The first hour will be assisted and the second hour will allow beginners to play pickleball. Please sign up for Assisted Play on the following dates: January 23, 30; February 13, 20, 27. There is no Assisted Play on February 6 because of the Beginner II lesson on that date. Click here to sign up for Assisted Play. Lenny Friedman is a USA Pickleball Association (USAPA) ambassador. He has asked that we provide our members with the following information about the USA Pickleball Association. Click here to read about the USAPA and learn how to join. During Club Open Play, players should invite anyone sitting out to rotate in following a game. Typically, players wait until another game finishes so that they can mix up the players on two courts. If you wish to play several games with the same 4 people, then you should play on courts other than those reserved for Club Open Play. Note that courts can be reserved for "closed" play. Lenny Friedman is teaching Beginner II lessons separately for men and women in February. In order to take a Beginner II lesson, players must have completed a Beginner I lesson and have played at least 6 games of pickleball. A Beginner II lesson will be offered for Women on February 6 and for men on February 7. Lessons will be from 2-4 PM on Courts 1-4. Wear court shoes and bring plenty of water to the lesson. Show your support of our club and Pickleball with a NEW club shirt. Order this week to get them by mid-February. At $20 each, buy more than one of these comfortable tech shirts for yourself and your family. Many great colors are available and you can get them with or without the back logo. Colors for women’s v-neck shirts can be seen here. 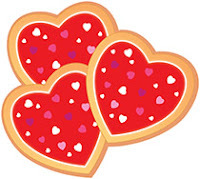 Our next Club social will be a Valentine's Day brunch. Starting at 9:30, we will play a Round Robin followed by a light brunch. Save the Date: February 15. Round Robins will continue to be held on Wednesday and are also now offered on Friday, both with a 10 AM start time. The dates are: January 25 and 27; February 1, 3, 8, 10, 22, 24. We hope to have Fridays be a somewhat different format from Wednesdays; offering members a different playing experience. The club is working out some of the logistical issues on this. More info soon!!!!!. You can access the list of our members, along with their phone numbers and e-mails, by clicking on the Member List tab at the top of the website page. Then enter the password that you were given (Hint: it is pickle#### where the #s are the Ramada address). It will open up in an Excel file on your screen. for doubles play and one hour for singles play. If you make a courts reservation and later find out that you are unable to play, please go back in and cancel the reservation. Our website is searchable. If you want to find a newsletter in which a specific topic was mentioned, type the topic in the Search box on the lower right of the website. It will find the newsletters that contain that topic. The 2016 and 2017 minutes from our Board meetings are on a separate website. Go to that website by clicking on Minutes under QC Club Resources on the right side of the webpage.The minutes are also searchable from that website by putting a topic in the Search box on the bottom right side of the page. It will find all the minutes in which that topic was mentioned.